AIR FM Gold advertising is a fantastic medium for local advertisers as it allows them to reach out to the local community in a highly targeted and cost effective way. Brand building requires broad reach and involvement: Offering scale with lower entry cost and greater regional flexibility is a huge selling point for AIR FM Gold, and one that isn’t really exploited by many advertisers. Book AIR FM Gold ads online today. AIR FM Gold is on air since 2001. By placing ads in AIR FM Gold Advertising can be done in Mumbai, Delhi, Kolkata and Chennai. AIR FM Gold has 30% News and Current affairs component and 70% entertainment programming. The Channel carries news on the hour originating from Delhi. Composite news programmes in Hindi and English originating from Delhi are exclusively broadcast every morning, midday and evening for a duration of 30 minutes each. Advertisers can play their ads in programmes like News FM Gold (Hindi), National Programme of Talk, Raat Ke Humsafar, Samachar Prabhat, Door Koi Gaye, Raina Beeti Jaye and Morning News. Advertiser can place their ads in the national public radio broadcaster of India and one of the largest radio networks in the world in terms of the number of languages of broadcast, the spectrum of socio-economic and cultural diversity it serves. By Advertising in All India Radio advertisers can spread their brand message in 419 stations located across the country, reaching nearly 92% of the country’s area and 99.19 % of the total population. Prime Time: These are morning or early evening slots when most of the audiences are listening to the radio as they commute. The AIR FM Gold Advertising rates here are usually higher than the other slots. Non Prime Time: The time-band in which the viewership/ listenership is relatively low as compared to prime time. The AIR FM Gold Advertising cost is usually the lowest here. RODP (Mixed Time): Ads gets placed in equal slots between morning peak, evening peak and non peak. 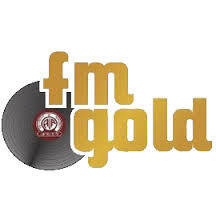 The AIR FM Gold Advertising rates are usually moderate. Ad Booking Deadline: Advertisements can be booked a day prior to the execution day, if the brands looking to advertise are ready with their creative and agree with the final AIR FM Gold Advertising rates. AIR FM Gold Advertising rates will vary depending on time of year, time of day, how well the station is doing in the particular geography a brand is trying to reach. The busier the time of year for radio station, the more a brand can expect to spend on Advertising. .• Response: Placing creative ads gives advertisers a comprehensive and efficient coverage across the country to deliver high level of cost-effective response. 5:00 PM – 10:00 PM Mixed Time or RODP All Day The ads get equal slots between morning drive, midday and evening drive. Where the cost incurred will be moderate.